The Association of Universities for Research in Astronomy is pleased to announce the appointment of Dr. Heidi B. Hammel to the position of Executive Vice President. She will begin her appointment on January 1, 2011. As Executive Vice President Dr. Hammel will serve as the Deputy to the President and will bring her unique expertise and background to AURA. In accepting this appointment, Dr. Hammel said "The United States astronomical community stands at an interesting juncture with many possible paths ahead of us. I look forward to working with AURA as we confront these challenges. Our shared goal is a rich future for astronomy and astrophysics, giving the next generation of scientists new opportunities to explore the universe." As Executive Vice President, Dr. Hammel will play a major role in advancing AURA’s mission to promote excellence in astronomical research by providing access to state-of-the-art facilities. Dr. Hammel's contributions to both the planetary sciences and astronomy are widely recognized. She has also played a major role in AURA as a member of the AURA Board (2003-2009) and as a member of the Space Telescope Institute Council (1996-1999). 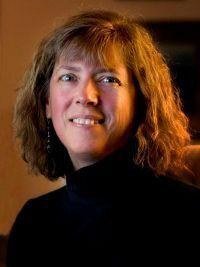 She has participated in community strategic planning in the recent Astro2010 Decadal Survey as a member of the Astronomy and Public Policy Working Group and as Chair of the Giant Planets Panel for the Planetary Science Decadal Survey. She has outstanding communication skills and is frequently invited to participate in public outreach events. In making this announcement, Dr. Caty Pilachowski, Chair of the AURA Board, said "We welcome Dr. Hammel back to the AURA family in her new capacity as Executive Vice President. She brings invaluable insights and perspectives that will strengthen AURA’s stewardship of our space and ground-based national facilities, and will help us achieve the exciting future laid out in the Astro2010 Decadal Survey, New Worlds, New Horizons in Astronomy and Astrophysics. With Dr. Hammel on board, I feel confident about the future of astronomy!"